It is amazing and I have improved a lot! I would say that by the end of the trimester I will be ahead of everyone else in my class! My tutor can help me anytime even after classes. The platform is original, there are a lot of small tools, I can interact with tutor in different ways. 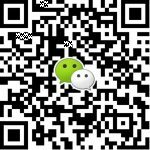 I can book my Chinese tutoring anytime, after my school in weekdays, or in weekends. My tutor helped me a lot to correct my pronunciation. A very innovative way of learning! I can learn at home face to face with a professional Chinese teacher at home.